As Andrew Le Peau observes in the introduction to this new commentary series, the New Testament writers were Old Testament people. Although this seems like an obvious statement, the symbols and literary patterns of the Old Testament are often overlooked in popular preaching and teaching on New Testament books. Although scholarship has done a better job setting the documents of the New Testament into the context of the Old in recent years, there is still much to be done to develop the database of background material available to illuminate the New Testament. There have been a few recent contributions in this area, D. A. Carson and G. K. Beale edited a single-volume Commentary on the New Testament Use of the Old Testament (IVP 2007) and the Zondervan Illustrated Bible Backgrounds Commentary on the Old Testament and New Testament (2009 with many of the individual books available in separate volumes). Although many commentaries include this sort of background material, there are few commentaries which focus exclusively on how the New Testament writers used the Old Testament. This series of commentaries will provide a verse-by-verse commentary which integrates typical exegesis of the text with Old Testament background in order to help answer questions as they arise. With respect to the exposition of the text, Le Peau comments on key phrases with an eye to Old Testament parallels rather than the typical exegetical details found in most commentaries. For example, at Mark 9:43 “if your hand causes you to stumble, cut it off,” Le Peau briefly discusses prohibitions on self-mutilation in the Law (Deut 14:1-3) as well as ancient pagan practice (1 Kings 18:27-29). He also draws attention to the hand, foot and eye as a source of stumbling in Proverbs 6:16-10 and Job 31:1, 5, 7. In his commentary on Mark 3:37, Le Peau draws attention to the provision of abundant food as a “picture that looks ahead to Isaiah’s coming messianic kingdom” (123). He cites Isaiah 55:1-3 at length, but also notes the miraculous feeding in Numbers 11 and 2 Kings 4:42-44. Throughout the commentary section, Greek and Hebrew words are used sparingly and always appear transliterated so those without language skills will have no trouble making use of the commentary. There is some interaction with contemporary scholarship, although this is light and all references appears in endnotes. Throughout the commentary are a number of sidebars entitled “Through Old Testament Eyes.” These units focus on the big picture to show how a particular text picks up on themes and motifs from the Old Testament. For example, Le Peau offers a chart in his exposition of the feeding of the five thousand tracing parallels between Psalm 23 and Mark 6. I briefly commented on Psalm 23 as a messianic text and potential background for this miracle in Jesus the Bridegroom, so it is good to see the Psalm used to interpret a miracle often used to preach brotherly sharing rather than a miracle which reveals Jesus as the Messiah. Another example of this kind of sidebar is Le Peau’s short description of the suffering of the Messiah in the Psalms to illuminate Mark 14-15 (275-8). A second type of sidebar in this commentary series is labeled “What the Structure Means.” These sections focus on literary devices such as metaphor, hyperbole, or other elements of story-telling. Often these take the form of an outline of a pericope with attention to chiasms or other features. In Mark 10:13-52 he lists four predictions and a prediction which frames the unit. In another place Le Peau offers a list of examples in Mark of sets of three events (272-3) and draws attention to this literary style in the Old Testament. One problem with scholarly background studies is a failure to connect the context with the contemporary reader. This commentary hopes to avoid this my balancing the background element with an application section. These sections are labeled “Going Deeper” and intend to connect the text of a New Testament book with internal debates within the early church as well as draw out implications for contemporary church questions. For example, the “Going Deeper” section following Le Peau’s exposition of Mark 9:14-50 is a pastoral reflection on anger and quarrelsomeness (173-2). The section following Mark 13:12 deals with a non-eschatological understanding of “watching and being alert.” The focus is on understanding suffering as a part of the disciple’s calling. Although this application is quite preachable, I am not sure the application arises from the text of the Olivet Discourse. The actual text of the commentary does a good job with the Old Testament (Daniel 7) and Second Temple (1 Maccabees) backgrounds to Jesus’s words and even notices the shift in 13:27 from the Temple in A.D. 70 to the “end of the age.” It seems to me the natural application in that section ought to concern a warning against false predictions of the end in the light of the very real end which will eventually arrive. I have a few minor problems with this commentary which probably fall into the category of “this is not the book I would have written.” First, Le Peau’s commentary on Mark does not deal with introductory issues in any depth. There are two pages under the heading “Who was Mark?” which deal with the few appearances of Mark in Acts and the epistles along with an ancient African tradition about Mark’s family. Since the purpose of the commentary to provide background to read the Gospel of Mark, perhaps more ought to be said about traditional authorship. For example, if the tradition Mark was Peter’s interpreter in Rome is accurate, what does his use of the Old Testament imply about the original audience and intention of the Gospel? What does the use of a New Exodus motif imply about the audience? Second, there is a very short introduction to the use of the Old Testament in the Gospel. Most of this four page section involves an illustration drawn from contemporary movies. Although this analogy does explain how a writer might allude to an earlier work, it fails to explain why Mark would use the Old Testament in the way he does. Mark is not paying tribute to Isaiah for his contributions to prophetic writing; Mark is alluding to Isaiah’s New Exodus motif because he believes Jesus is really enacting the metanarrative of the whole Old Testament and placing himself in the center of that story. I realize Le Peau simply does not have space to write a fully argued methodology in the introduction to this commentary, but improving this introduction would pay dividends as readers use the commentary to read Mark. Third, although this might be less interesting to evangelical readers, I think the commentary could be improved by occasionally tracing a motif through the literature of the Second Temple period. In my review of the text, I only noticed a few references to 1 Maccabees in the context of the abomination of desolation and there are no references to the Apocrypha or Pseudepigrapha in the Scripture index. Although this is not always possible, perhaps using the Dead Sea Scrolls as background for son of David sayings or the messianic banquet would set the Gospel of Mark into a more broadly Jewish context. A final comment goes beyond the scope of the commentary, but I raise it since few scholars have asked the question. In the commentary, Le Peau understands allusions to the Old Testament are a product of Mark’s narration of the events. But to what extent did the historical Jesus shape traditions by alluding the Old Testament himself? If Mark 4:11 fairly records the words of Jesus, then the allusion to Daniel 2 and 4 in the phrase “mystery of the kingdom” comes from Jesus rather than Mark. If this is the case, does it affect the exegesis of Mark 4? 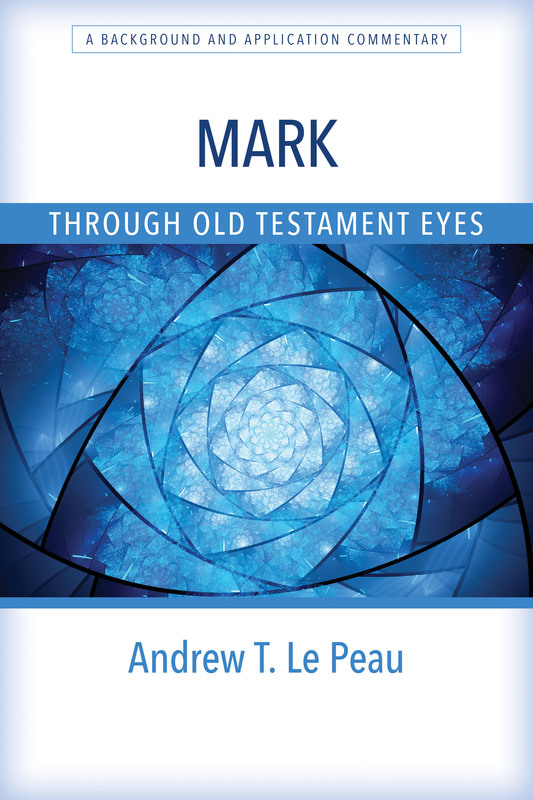 Nevertheless, Le Peau contributes a good commentary on Mark which focuses on an often overlooked aspect of New Testament research. This is the inaugural volume of a new series from Kregel Academic, with four other volumes planned at this time (David Capes on Matthew, Karen Jobes on John, Gary Burge on Galatians and Ephesians, and Tremper Longman on Revelation). My copy of this book has a number of strange spacing errors when the text is italicized, hopefully this can be corrected in future reprints of the commentary (p. 27, the word Spirit, p. 39, the phrase Kingdom of God; p. 49, the word quiet, p. 51, the word healed, etc.) This is a minor problem and does not detract from the value of the commentary.